Here is a section of the most recent work I did over George Perez - for issue 6 of the Brave and The Bold. As an inker for George you stand on the shoulder of a giant - so you think you're 500 feet tall, but really, the view is just what George sees all the time. -And here they are after I monkeyed around with them. I'm sure a little bit of my own personality comes through in the inks, but I try and keep any deviations of style and excentricities to a minimum. I'm very familair with George's work, having studied his art for over 3 decades, honestly closer than any other artist I've ever known (with the exception of myself) - so I try and ink him like I've seen him ink himself. My favorite work of his was when the Teen Titans shifted over to the Baxter format and he inked himself on the first few issues and a lightbulb went off in my head and I thought "Oh, THIS must be what he wanted the whole time." I liked how George had a different face, hair shape and body shape for each of the Challengers of the Unknown and I tried to keep that dynamic as clear as possible, evern when their heads were turned away from the viewer. 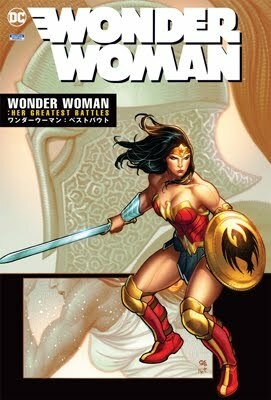 DC Comics has provided CBR News with their solicitation text and cover images for comics and product shipping in August of 2007. Discuss these solicitations here on CBR's DC Comics forum and tell fellow comic fans about what titles interests you! Half the DCU guest-stars in the red-hot team-up book by Mark Waid and George Pérez! Green Lantern and Batman are horrified to discover the secret to the theft of the Book of Destiny, but before it can reach its rightful owner, the Book winds up in the hands of the only heroes in the DCU who aren't in its pages! How it that possible? In this hard-hitting, value-packed volume, witness Batman's formation of the original Outsiders! Metamorpho, Black Lightning, Katana, Halo and Geo-Force star in these stories from BATMAN & THE OUTSIDERS #1-19, BRAVE & BOLD #200 and NEW TEEN TITANS #16! Don't miss this very special issue that ushers in the new TEEN TITANS creative team of Sean McKeaver and Randy Green, reunites Marv Wolfman and George Pérez for their first new Titans adventure in years, and also features a story by Geoff Johns and Mike McKone - the creators who launched this title! It all begins when the Titans bury another friend - and ends with a deadly, familiar threat as well as an addition to the team. Plus, be sure to catch BLUE BEETLE #18, a tie-in to this issue guest-starring the Titans and Lobo! Retailers please note: This issue will ship with two covers that may be ordered separately. For every 10 copies of the Standard Edition (with a cover by Alé Garza & Scott Williams) ordered, retailers may order one copy of the Variant Edition (with a cover by Mike McKone). Please see the Previews Order Form for more information.